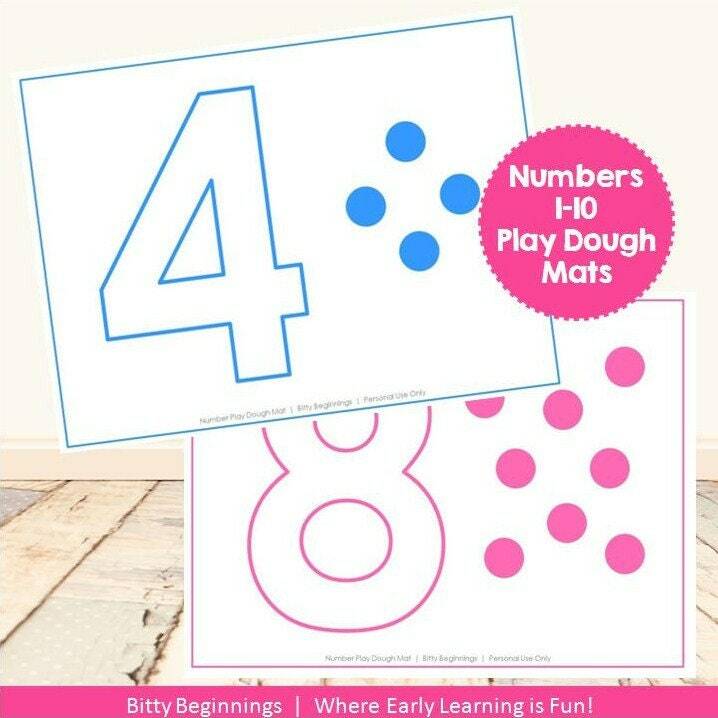 The Numbers 1-10 Play Dough Mat Set offers little ones a fun way to explore each number by way of identifying the specific number using play dough as well as working on one-to-one correspondence! If you have a little one who is beginning to recognize numbers and are working on counting or are a teacher with a class full of little ones eager to learn, these play dough activities will help make learning fun for the little one(s) in your life! This set includes 20 pages of pink & blue play dough mats! Print & laminate for added strength. Pair with your favorite play dough. Encourage your little one(s) to smash or roll snakes to create the numbers. Roll play dough balls and place on circles as you count. Great for one-to-one correspondence, too! Practice counting again while smashing each play dough ball.